We are a professional and well respected introductory agency who are skilled in matching qualified and experienced Carers with the needs and requirements of our Clients. We are a professional and well respected introductory agency skilled in matching qualified and experienced carers with the individual needs of our clients. We believe that health conditions or the need for support should no longer dictate where you are able to live. 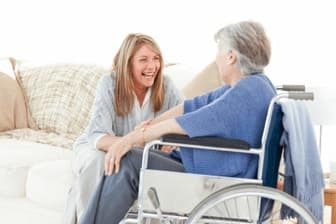 As experts in home care and elderly care, we understand how distressing and confusing it can be moving into a care home so we offer a way around it. If you or your loved one requires regular care or support, a live in carer could be the solution. A live in care package can be tailored to your needs to include medication support, domestic support, personal care and much more. The one thing that is provided with all of our care packages is companionship – a compassionate person to spend time with you and prevent loneliness and isolation. We’ll help you find the perfect live in carer to provide support and companionship in the comfort of your own home. Our main aim is to support our clients in their homes to live as independently as possible, living a fulfilled life until the very end. With over two decades’ experience in the care industry, Mayfair Live in Care is well positioned to find the right person to support each client. We have the knowledge and proficiency to select carers from our strong network of home care specialists, and work together to provide a tailored care package. Whether you’re looking for permanent ongoing care or a respite carer, our team of home care professionals can help. Finding a live in carer isn’t always easy as the individual must have a strong set of skills as well as certain personal attributes. Mayfair is renowned for attracting high level carers, giving clients access to a huge pool of experienced caregivers. 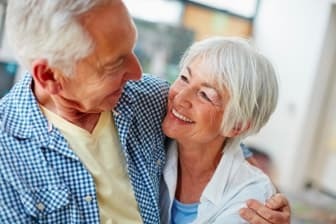 We then use our unrivalled home care expertise to suggest the right live in carer for you. 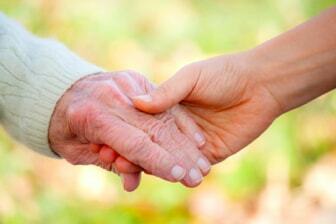 The care industry is growing as we adapt to an ageing society. Being a carer is all about making a difference and improving quality of life as best you can. It is a rewarding and challenging career, where every day is different. By supporting individuals to live independently in their own homes, you’ll notice the difference you’re making on a daily basis, and know you’re doing a worthwhile job. If you enjoy helping people in need then why not become a live in carer with Mayfair? Get in touch for a registration form. We’re always looking for committed carers to join our team and help us deliver the exceptionally high standard of care we’ve become renowned for.